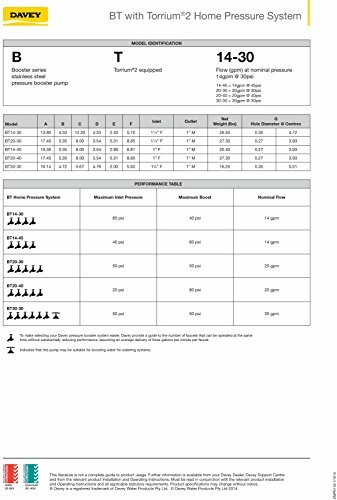 Product prices and availability are accurate as of 2019-04-24 03:18:25 UTC and are subject to change. Any price and availability information displayed on http://www.amazon.com/ at the time of purchase will apply to the purchase of this product. 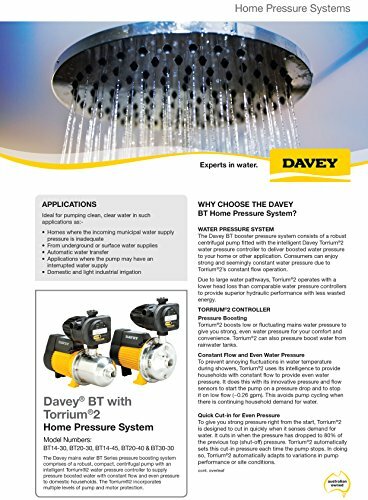 The Davey BT booster pressure system consists of a robust centrifugal pump fitted with the intelligent Davey Torrium2 water pressure controller to deliver boosted water pressure to your home or other application. Consumers can enjoy strong and seemingly constant water pressure due to Torrium2's constant flow operation. Due to large water pathways, Torrium2 operates with a lower head loss than comparable water pressure controllers to provide superior hydraulic performance with less wasted energy. 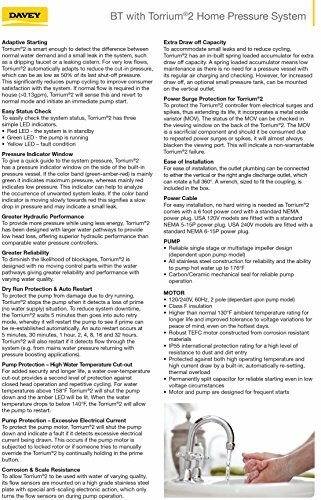 TORRIUM2 CONTROLLER Pressure Boosting Torrium2 boosts low or fluctuating mains water pressure to give you strong, even water pressure for your comfort and convenience. Torrium2 can also pressure boost water from rainwater tanks. Constant Flow and Even Water Pressure To prevent annoying fluctuations in water temperature during showers, Torrium2 uses its intelligence to provide households with constant flow to provide even water pressure. 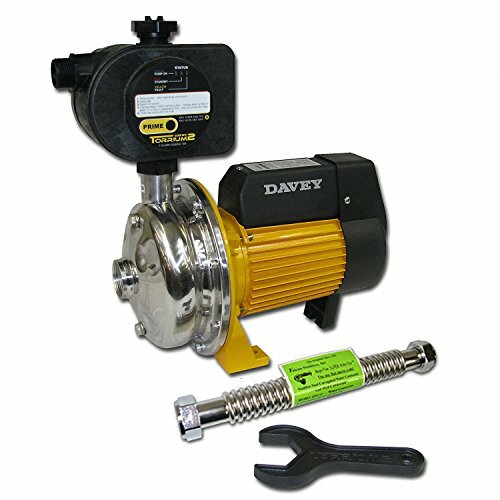 It does this with its innovative pressure and flow sensors to start the pump on a pressure drop and to stop it on low flow (~0.26 gpm). This avoids pump cycling when there is continuing household demand for water. 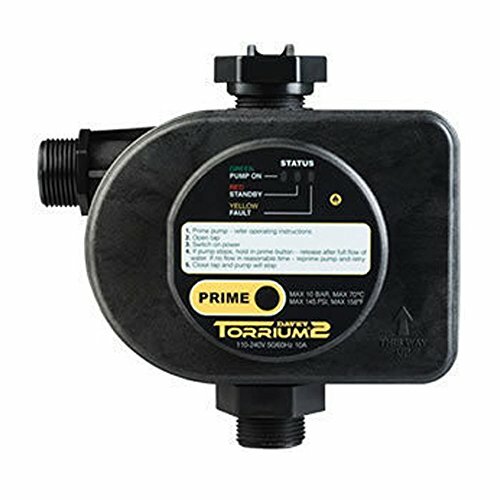 Quick Cut-in for Even Pressure To give you strong pressure right from the start, Torrium2 is designed to cut in quickly when it senses demand for water. It cuts in when the pressure has dropped to 80% of the previous top (shut-off) pressure. Torrium2 automatically sets this cut-in pressure each time the pump stops. 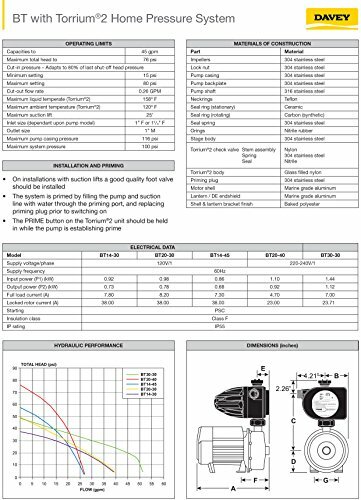 In doing so, Torrium2 automatically adapts to variations in pump performance or site conditions.